The 2019 event will take place on April 6 & 7. The California Classic Half Marathon and the California Classic Century rides are on the same weekend again! Join us Saturday April 6th 2019 as we will host 2,000 riders as they get to experience the ONLY bike ride that closes a freeway! Then on Sunday April 7th 2019 we will host 3,000 runners in our Half Marathon and Half Marathon Relay as participants run through African Adventure in Fresno Chaffee Zoo, with a grand finish along home-plate inside Chukchansi Stadium. 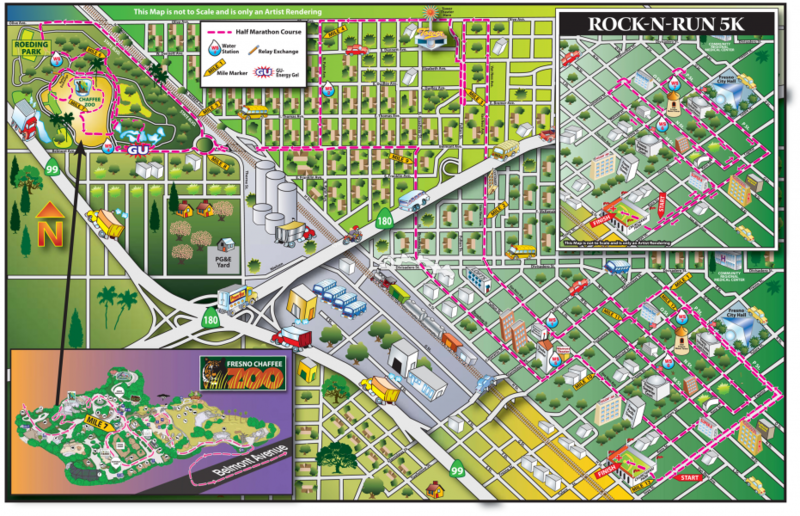 Or choose our Rock and Run 5k, it doesn't go through the Zoo, but has all of the other benefits of the Half Marathon. How was California Classic Weekend?